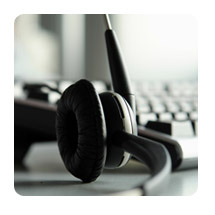 Have you just moved onto premises that already have a telephone system?? Have you had a Telephone System installed but don’t have a Maintenance Care Agreement with the installer or anyone else?? Phonelink Maintenance will carry out a Maintenance Acceptance Test (MAT) on a wide number of telephone systems including Siemens, Panasonic, BT and Meridian Norstar to make sure the System is in working order and then will provide you with a detailed Maintenance Contract stating costs, items covered and level of care and response times. At Phonelink we don't only maintain the new telephone systems that we install, we can also maintain a number of older systems such as the BT Meridian Norstar or other previously installed systems, please call us to see if we can Maintain your telephone system 01792 875999. If a Maintenance Acceptance Test shows the system to be too old (i.e. parts no longer available) or unable to be repaired we can then provide a quotation to install a new system, where possible keeping costs low by keeping existing handsets etc if appropriate. Call us on 01792 875999 to discuss any of your telecom needs or go to our sister company Phonelink Installations who specialize in Installing Telephone Systems.